Morphy-Richards is a leading marketer of appliances in the the UK best known for electric kettles, blankets and light-weight clothes irons. 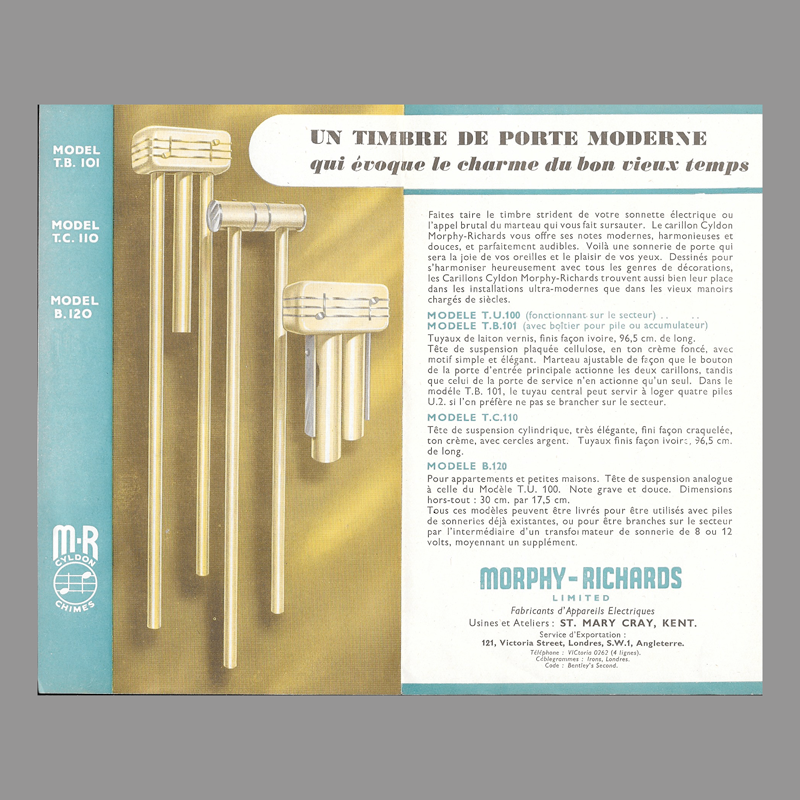 In the 1950s Morphy-Richards marketed the Clydon Line of door chimes including the T.U.100 long bell model. Morphy-Richards distributed door chimes worldwide. A variation on this model was available as the T.B. 101, a battery operated chime with a unique compartment between the two tubes that housed four D cell batteries, formerly known as U2 batteries in Europe. This example was found in severely neglected condition. ElectraChime carefully restored the mechanism and fitted a new solenoid plunger and bells to factory specifications. 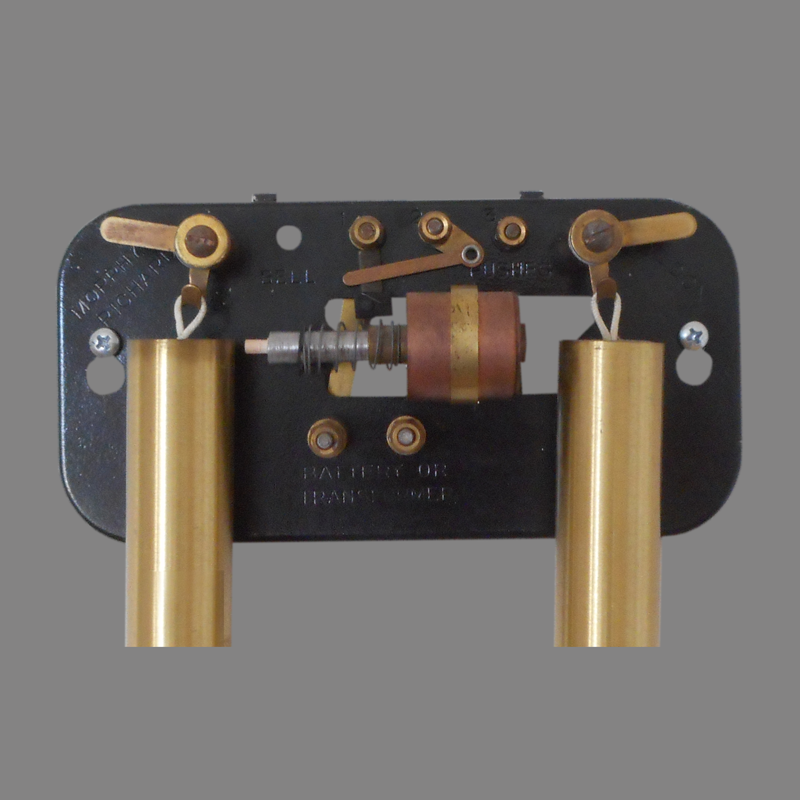 Clydon chimes are particularly well made featuring a sophisticated scheme for adjusting the strike of the bells, a copper clad solenoid winding and elegant electrical terminals. I have one of these in our home in Melbourne Australia. The house was finished around 1950-1951. The doorbell still works! We love it. Is it valuable? I have just had Morphy Richards Clydon chimes removed from wall during renovations. In the process I lost the armature/plunger, that’s the one moving part. I’d like to get a replacement. Does anyone know the exact dimensions of the original? Hi, I have the exact same model as in the picture with silver, not brass tubes. It has been on the wall in our house for 17 years, it used to work however has not been used since disconecting the door bell 16 years ago. I am trying to get it to work again, there is an electrical current running live still from the transformer to the unit with a live wire running from it to where the doorbell used to be. I have connected a new doorbell but alas, it will not operate, any help would be much appreciated in restoring it to it’s former glory. Hello Mark, I sent some instructions via email. I’ve never seen a Clydon with silver colored tubes, please send a photo of your chime when you get it going again. Thanks. Hi – our Clydon still works but intermittently! It looks as though the doorbell press outside has rusted up. I’ve tried cleaning it but with the same intermittent success. Is it possible to get a replacement doorbell press? Hello, Any standard (unlighted) doorbell press will work. These are available at most any hardware store or DIY center. 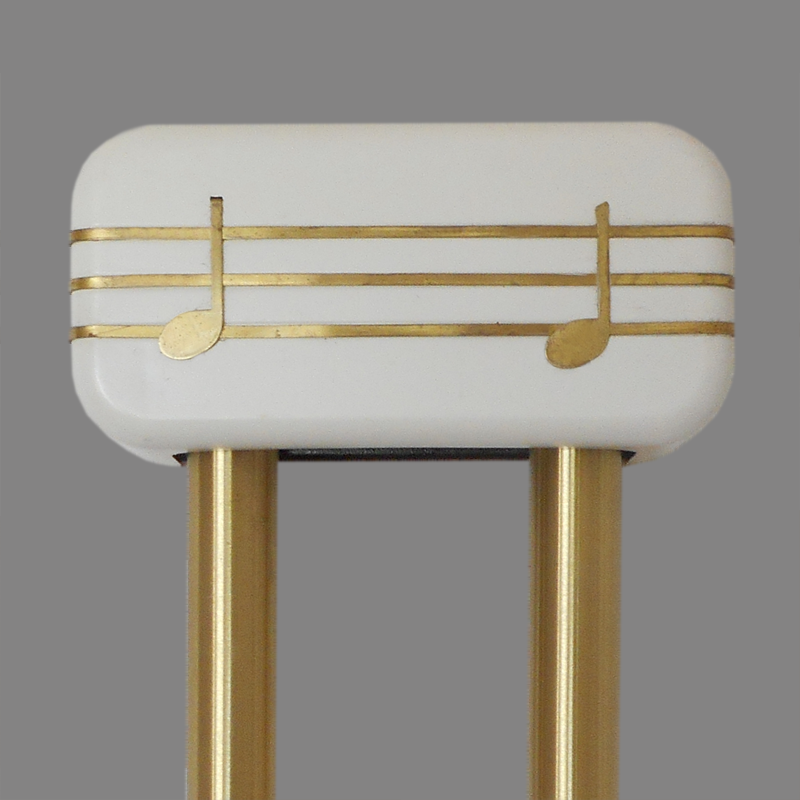 I have one with lacquered brass tubes, in fact i have 2 sets of them, both with different tones. It was my great grandmothers and had actually been in my grandmothers house since new. When she passed away in 1985 no one wanted it except me. Upon having my first house it went up. Needed a lot of de rusting. Still works after a bit of maintenance. As Dingdong said, any doorbell press works on it. If batteries are fully charged and it stops or gets “sticky” check the door buzzer, they tend to get a bit rusted sometimes. Mine was given to my grandparents for their golden wedding in 1950 by my late brother and myself (we were 14 and 12 respectively). When they passed away it was moved to my parents’ house and finally to mine. It was recently not working properly but cleaning the terminals and re-making the connections did the trick. Since 1983 it has been powered by a Friedland transformer. I have just fitted a new illuminated bell push. As I use a transformer, it will not drain the battery. The bulb in a previous illuminated bell push failed after a few days because it was rated at 8 volts whereas the chimes are rated at 12. The current one is rated at 12 so we will see how long it survives.